– Valery Kubasov, a Soviet-era cosmonaut whose three missions included the first joint flight between the United States and Russia, died Wednesday (Feb. 19). He was 79. "Very sad to report that Valery Kubasov has passed away in Moscow," the Association of Space Explorers (ASE), a professional organization whose astronaut and cosmonaut members included Kubasov, wrote in a brief statement. "A true pioneer of spaceflight and international cooperation in space." Selected in 1966 to train to be a cosmonaut together with other civilian engineers, Kubasov's highest-profile mission assignment was as one of the two Russian crew members for the Apollo-Soyuz Test Project (ASTP). Joined on the flight by Alexei Leonov, who 10 years earlier had been the first man to perform a spacewalk, Kubasov launched onboard a Russian Soyuz spacecraft on July 15, 1975, and two days later docked with an American Apollo command module, marking the first time that the two Cold War rivals worked together in space. 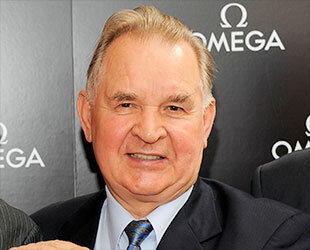 "The joint American-Soviet space mission was a perfect symbol of the historic changes in a world of deeply divided ideologies and nuclear threats" said journalist Tom Brokaw as part of a television special devoted to the space race that aired during NBC's coverage of the Olympic Games on Saturday (Feb. 15). "We went from pointing missiles at each other to exploring the heavens together — and the men who pulled it off, cosmonauts and astronauts, all had the right stuff." 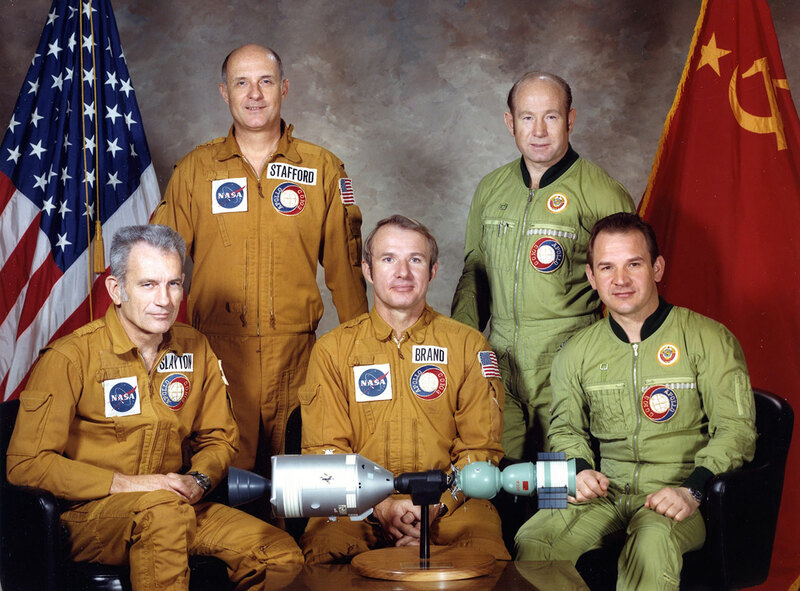 Over the course of the two days that their spacecraft were linked in orbit, Kubasov and Leonov, together with NASA astronauts Deke Slayton, Tom Stafford and Vance Brand, carried out experiments and exchanged gifts. 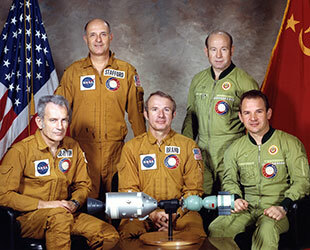 The Apollo-Soyuz Test Project laid the foundation for future U.S. and Russian cooperation in space, leading to the International Space Station. Kubasov's first space mission, the five-day Soyuz 6 flight in October 1969, was also intended to rendezvous with a spacecraft in orbit — in fact, two other Soviet capsules — but due to technical issues, the three vehicles never met up. 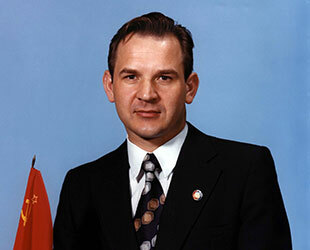 Kubasov, flying with Georgy Shonin, did successfully become the first "space construction worker" however, by testing out welding methods in microgravity. Kubasov commanded his third and final flight into space, the May 1980 Soyuz 36 mission to the USSR's Salyut 6 space station. 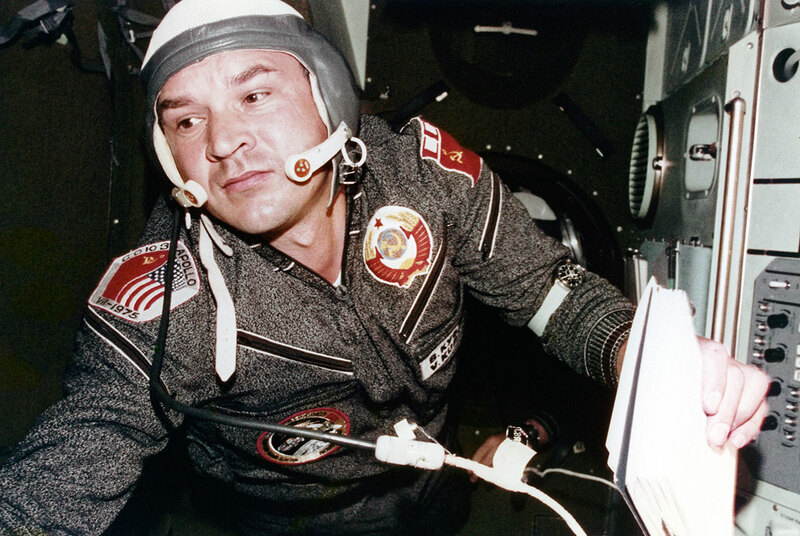 Marking another international milestone as a part of the Interkosmos program, Kubasov's crew mate was Bertalan Farkas, the first Hungarian to fly into space. The eight-day flight swapped the spacecraft docked at the outpost, with Kubasov and Farkas returning home to Earth aboard Soyuz 35. 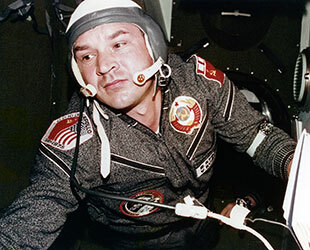 In total, Kubasov spent 18 days, 17 hours and 57 minutes in space over the course of his three missions. 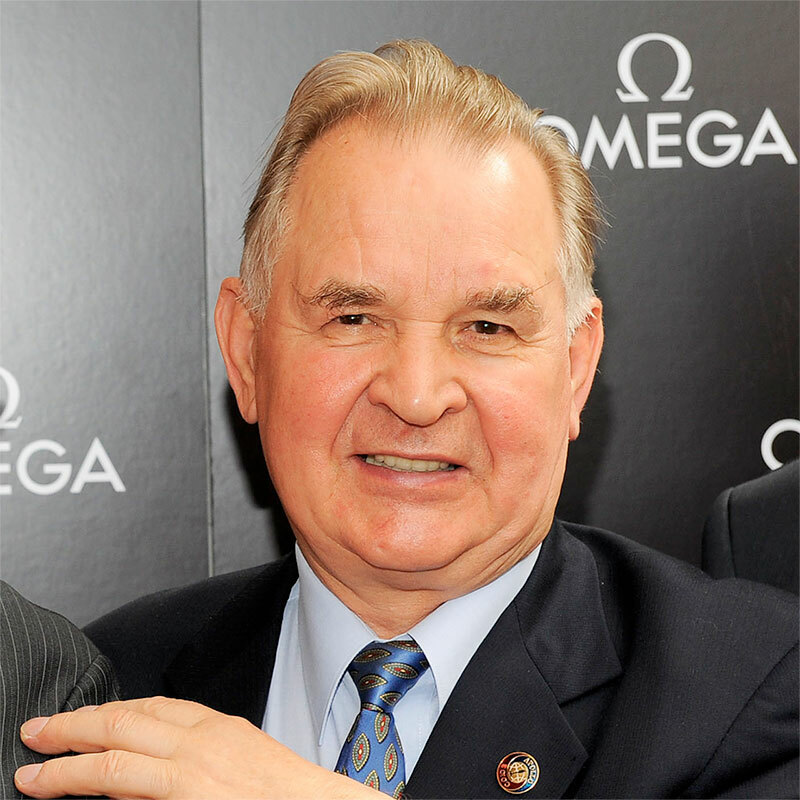 Valery Nikolayevich Kubasov was born on Jan. 7, 1935 in Vyazniki, Russia. He graduated from the Moscow Aviation Institute in 1958 as an aerospace engineer and reported to work at the bureau led by Chief Designer Sergei Korolev, the Soviet Union's leading rocket engineer. Initially focusing on ballistic studies, Kubasov worked on the design of the Voskhod capsule that his Apollo-Soyuz crewmate Leonov would later fly, before being recruited for the cosmonaut corps. Prior to launching on Soyuz 6, Kubasov was first assigned to a proposed mission during which a crew member was to spacewalk between spacecraft. The flight was canceled in the wake of the 1967 loss of cosmonaut Vladimir Komarov aboard Soyuz 1 due a parachute failure. Kubasov also almost launched aboard the ill-fated Soyuz 11 mission in 1971. If it was not for his falling ill, Kubasov, together with Leonov, would have been the prime, rather than backup crew for the 24-day flight to the world's first space station, Salyut 1. The cosmonauts that flew in their place died when their spacecraft depressurized during its reentry into the Earth's atmosphere. 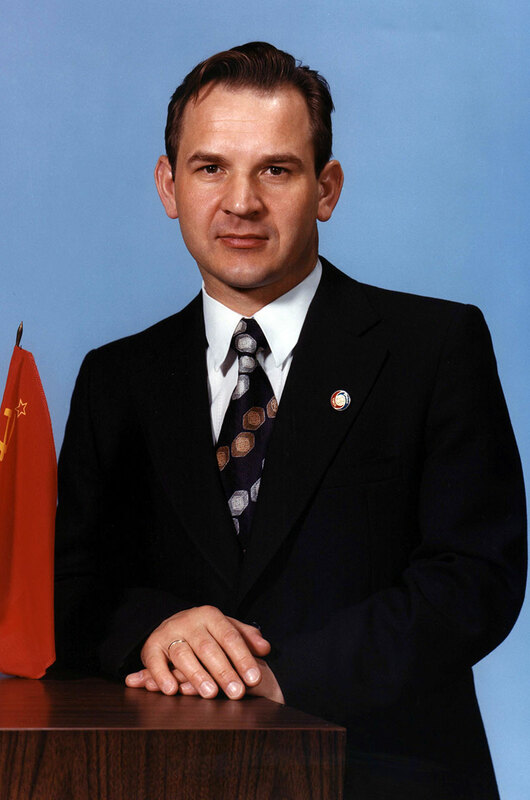 Kubasov retired from Russia's cosmonaut corps on Nov. 3, 1993 and served as a deputy director for the aerospace corporation RSC Energia. He was decorated for his space achievements, including being named a Hero of the Soviet Union and being bestowed the Order of Lenin, the former Soviet Union's highest honor. Kubasov was married to Lyudmila Kurovskaya, with whom he had a daughter, Ekaterina, and son, Dmitry.